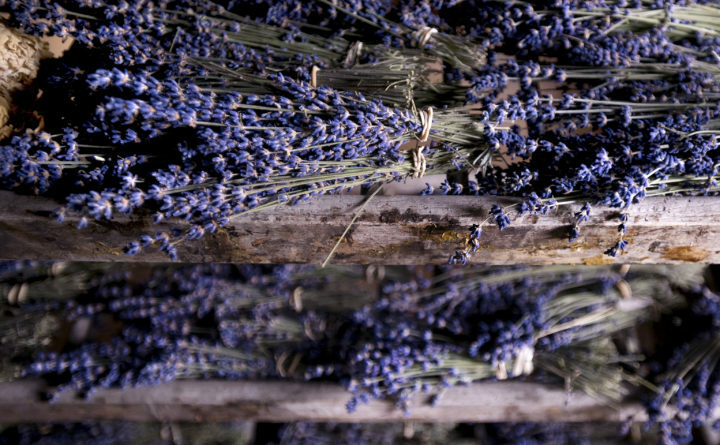 Lavender is dried and stored in a restored barn at Glendarragh Farm Lavender in Appleton. Lorie and Patrick Costigan started growing lavender just over a decade ago with 300 plants and now have thousands. The largest number of lavender farms in the world are located in the south of France, where acres of fragrant purple fields stretch with scenic beauty toward the Mediterranean Sea. But an increasing number of Maine farmers are finding that lavender — a member of the mint family with a long history of use in perfumes, salves, soaps and as a culinary herb — can grow and thrive even in our shorter summers and colder winters. That means people driving on back roads in the Pine Tree State in the summer months just may find themselves passing rolling purple fields here, too. If they decide they need to stop and smell the lavender, it’s OK. The lavender farmers understand. She and her husband, Patrick Costigan, started the farm in 2007 as a way to work for themselves and build something as a family. Back then, she was a busy magazine editor, and felt that time was rushing by too fast as her children were growing up. Lorie Costigan of Glendarragh Farm Lavender in Appleton is busy this month harvesting and drying the fragrant crop she and her family grows. The idea of farming, and farming lavender in particular, grew on them. She had always been a passionate gardener, and when the couple learned that lavender is something that can grow “the world over,” they felt like it could grow in Knox County, too. They purchased a 26-acre farm along the St. George River, complete with an early 19th century farmhouse, moved in and tilled up their fields. In the spring of 2008, they planted 300 lavender plants with a simple goal of growing enough to sell at the Common Ground Fair in Unity. They met that goal — but they didn’t stop there. Lorie Costigan was a part-time lavender farmer at first, but when her magazine editing job fell victim to a round of layoffs in 2009, toward the beginning of the Great Recession, moving away from journalism and fully into farming sounded good to her. “I looked around and said there are other states with lavender farms, and if I don’t go all in now, I’ll regret it,” she said. Costigan immersed herself into learning about the different varieties of lavender. “I really gave myself a crash course,” she said, and then opened a year-round retail store devoted to all things lavender on Main Street in Camden in 2010. There were naysayers back then, she said, people who didn’t believe that a store selling lavender, or a farm dedicated to lavender, could possibly make it in Maine. Glendarragh Farm Lavender in Appleton. 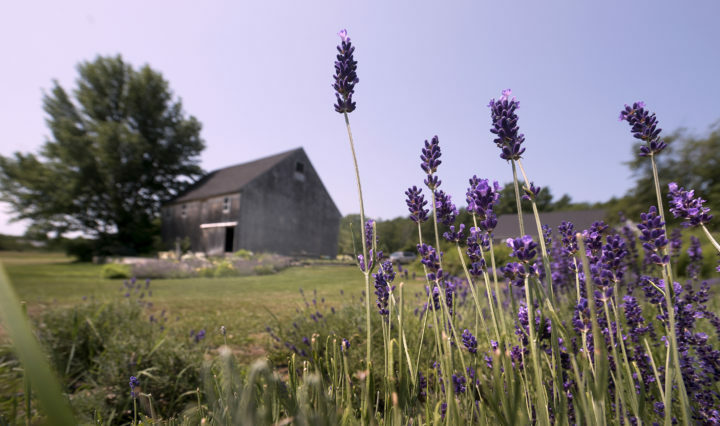 Other farmers said that they have been surprised and pleased with how well the flowers can flourish here, and by the strong demand for Maine-grown lavender. Peggy Moore of Moore Manor Lavender in Newport said that she and her husband, Doug Moore, have been growing lavender on their land since 2014. They started with 250 plants, and now have about 1,000. So they put in some chairs and flower gardens, and opened the farm up to visitors last summer. But a good surprise. In addition to selling the lavender products that Peggy Moore makes throughout the winter with her lavender, such as fragrant sprays and cleaning mists, they invite people to cut their own lavender bouquets as they wander through the rows of purple blossoms. She shares ideas and recipes on her website, including for such culinary specialities as lavender sugar. She also encourages people to grow their own (so does Costigan). 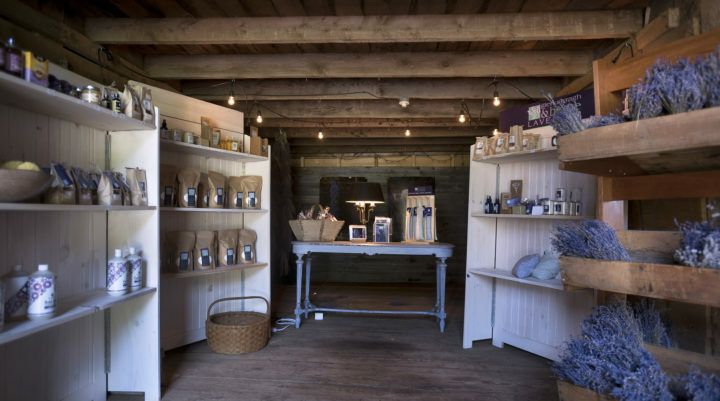 The restored barn serves as drying space and shop at the Glendarragh Farm Lavender in Appleton. Lavender does have a strong preference for sandy soil, as opposed to the rich, loamy soil that farmers and gardeners generally prize. That’s what Tammy Braun of Riverside Lavender Farm in Steep Falls learned when she planted 1,000 plants in a fertile field at her farm. That was a mistake, the farmer said. But that loss wasn’t enough to deter her or her husband, Mark Braun, from the veteran owned and operated small family farm they started three years ago on the Saco River in southern Maine. Tammy Braun had worked as a manager at an Iowa orchard that had tried planting lavender, and when her family moved to Maine, she decided to try planting it here, too. Lavender is a good fit for Maine because it is resistant to deer, drought and disease, she said. 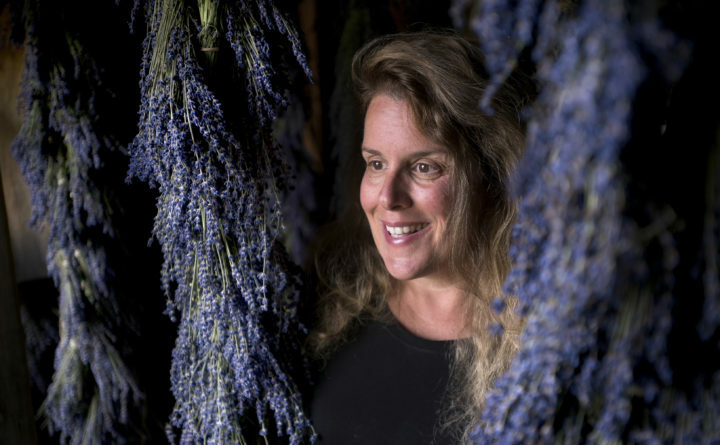 Today, she counts almost 5,000 lavender plants on the farm, which she uses to make products such as wreaths, quilts stuffed with dried lavender, gourmet lavender sugars, lotions, creams, balms, simple syrups and more. She and her husband also have been using their farm as a way to teach veterans how to start their own lavender farms and businesses, providing classes and mentoring to those who are interested. This year, they helped five Maine-based lavender farms and two Ohio-based farms get up and running, and Braun isn’t worried that she is setting herself up for too much competition. The market is strong enough to absorb more lavender farms, she said. Costigan agreed, saying that there’s still an opportunity to turn more of Maine purple. A bumblebee searches a lavender plant for pollen at Glendarragh Farm Lavender in Appleton. 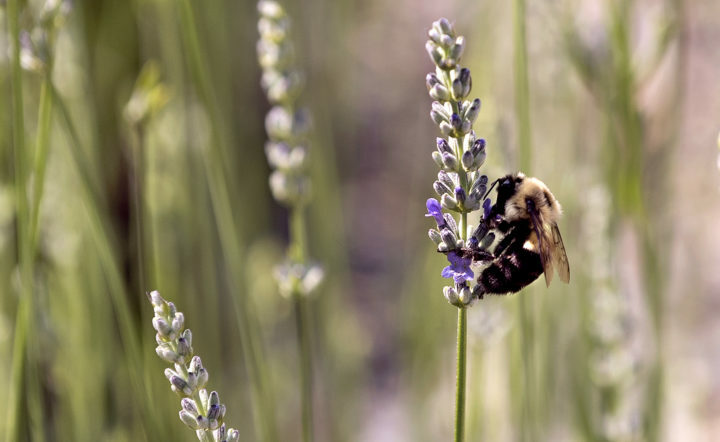 Most Maine gardeners usually plant lavender that has been grown from cuttings by horticulturists, although it can be grown from seed (a fairly slow process and not always successful). Ready-to-plant lavender can be purchased at specialty farms, such as hers, or at garden supply stores. Different varieties have varying tolerance for cold, with English lavender varieties the most cold tolerant. The plants should be tucked into well-drained, sandy soil that gets a lot of sun, and it’s very important not to overwater them, according to Costigan and other experts. In the fall, lavender should be pruned and then covered to protect the plants from ice damage in the winter — that protection could be a fabric cover, a thick layer of straw or even just fir boughs. In the spring, don’t get too anxious if it seems as if your lavender is not greening up as fast as you would like. It’s slow to come out of winter dormancy and may not start turning green until the end of May. But it will, and then start blooming in late June or early July.